From humble beginnings has emerged a company who now has a strong customer base and can proudly boast numerous technological achievements and significant growth over half a century. Eriez Europe was established when Bob Merwin, CEO of Eriez Manufacturing Co. in Erie, USA recognised the opportunity for a European manufacturing headquarters. In order to drive the company into the European market, Eriez North America collaborated with Sir Alfred Nicholas, founder and chairman of South Wales Switchgear Ltd. based in Wales, UK, to establish a European licensee. Eriez Europe has thrived in technological innovations, productivity and expanded their manufacturing facilities, over the last fifty years. The company now employs over 120 staff and designs, develops and manufactures magnetic separation, metal detection, fluid filtration and vibratory equipment in a 53,000 square feet manufacturing facility in its European Headquarters in Caerphilly, South Wales, UK. Eriez serves over 80 markets including mining, quarrying, recycling, ceramics, metalworking, food and mineral processing industries, and is certified with the BS5750 (ISO 9001:2015) quality standard accreditation. Over the last fifty years, Eriez Europe has secured key strategic acquisitions that have expanded the company's product offering, including the purchase of metal detection specialists Pulse Technology, manufacturers of sampling systems, Prisecter International, former competitors Boxmag Rapid and fluid filtration and recycling equipment specialists, Centriforce Limited. Eriez is a global company with 12 international facilities, offering a worldwide network of manufacturing sales and service and is the world's largest manufacturer of magnetic separation equipment. John Curwen, Managing Director comments "Eriez Europe has demonstrated remarkable growth since 1968 and we are immensely proud of what has been achieved. The root of our achievements stems from Eriez Europe's employees and their dedication to selling, designing and manufacturing high quality equipment as well as our loyal customer base. 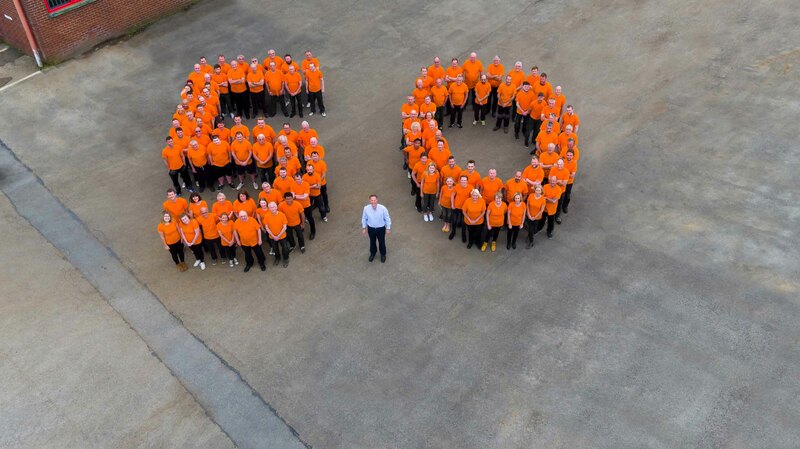 The past fifty years has witnessed a commendable journey for Eriez Europe and we are confident our growth and success will prosper into the next chapter."